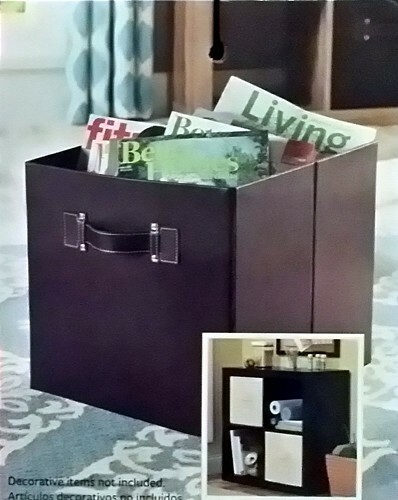 Make more of your space and stay organized with this Better Homes and Gardens Faux Leather Storage Cube! Generously sized, this cube can hold a variety of objects, such as magazines, trinkets, small toys and more. 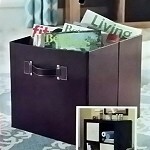 This Faux Leather storage bin can be used in the office or classroom. It can also be used in a kitchen, bathroom, child's room or craft room. Made of 100 percent durable polyester!